For September and October, we’re turning the map aspen gold where we know there are aspen groves to be found. Know where to go and where you can feel safe turning around! Just go to the map and click the button for your location. Go enjoy the fall foliage. 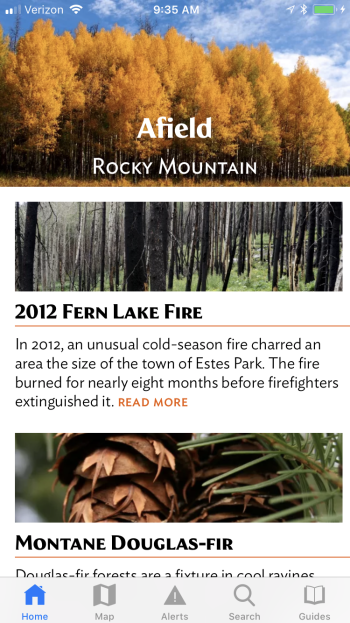 Brief expert-written articles guide your journey with details and stories about the environment around you. Get turn-by-turn directions to anywhere on the trail network and customize your route. Everything is provided in the install so there are no maps to sync or images to cache. Your GPS doesn't need a signal—it all works offline. Afield Rocky Mountain isn’t set to pre-set routes, so you can still reach your destination from nearby trailheads if crowds throw you off your plan. Alerts from the National Park Service are fetched ahead of time and kept on your phone. Everything works offline, without a phone signal. The app is filled with information tagged on every foot of the trail system, so you can deepen your understanding of nature around you. 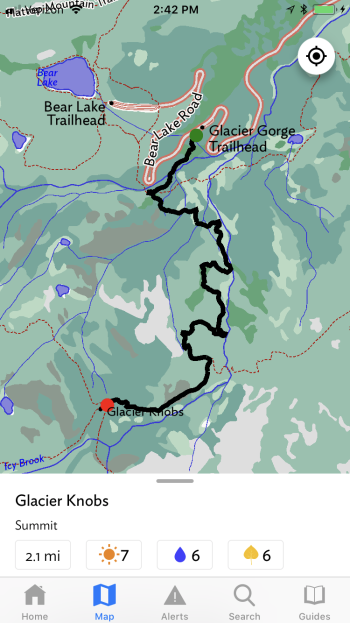 As you hike in the park, Afield follows along with GPS. 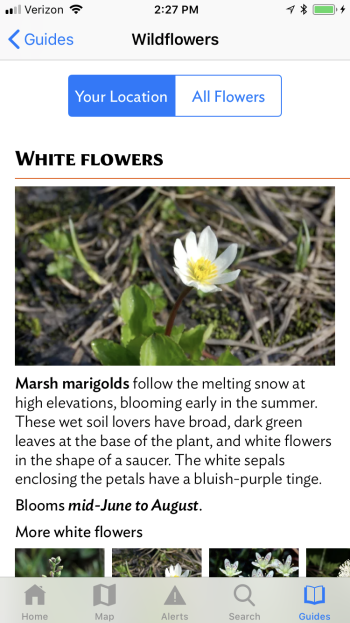 The wildlife and wildflower guides automatically filter down to the species to watch for. Afield is a registered trademark of Afield Trails LLC. © 2019 Afield Trails LLC. All rights reserved.